Professor Eleanor Maine’s research team was identifying genes important for development of the germline of their study organism when they made an interesting discovery about a specific pair of genes. The two genes, they determined, are critical for germline survival. The germline is the tissue responsible for forming reproductive cells (oocytes or sperm), which in turn are responsible for generating offspring. The finding has resulted in a substantial federal grant, as announced in December, and a new path of discovery for Maine’s team. The work could eventually inform the optimal balance of proteins needed for germline development and fertility. The two-year federal grant from the National Institute of Child Health and Human Development at the National Institutes of Health is for $150,000. The type of grant, called an R03 award, is designed to fund discrete, well-defined projects. “I was excited to learn about the award and that we are now able to pursue the next logical step in the project,” Maine says. This latest award funds a study that is a direct follow-up to an ongoing project in Maine’s lab. 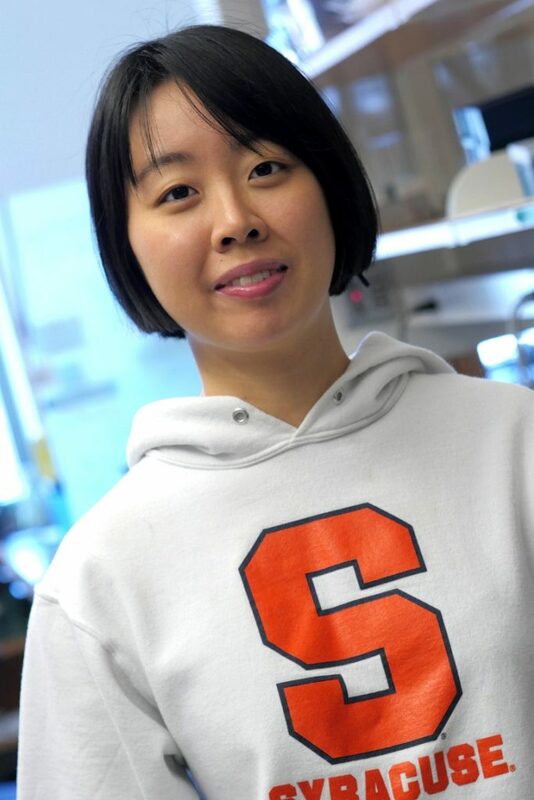 While participating in an ongoing research project, a graduate student in Maine’s group, Yini Li, identified two proteins, pup-1 and pup-2, as critical for development in the team’s study organism, the nematode Caenorhabditis elegans (a microscopic roundworm). The roundworm is used because of its small size and its short generation time—two to five days. There is also a large foundational body of knowledge on its development, and its genome has been sequenced. An organism’s genes encode proteins necessary for biological processes that bring about life’s functions. Maine’s area involves the study of how gene expression is regulated during development to produce proteins necessary for various traits. One major focus of Maine’s research has been on an epigenetic mechanism of gene regulation known as meiotic silencing, which occurs in reproductive cells, and how that mechanism can promote fertility. The team was trying to identify proteins that regulate meiotic silencing when they came across this latest discovery. Maine commends Li for the work that she did on uncovering the new avenue of research. “She did a great job of investigating and expanding the project, and I realized we needed to get a separate grant,” Maine says. The grant will include funding the work of a bioinformaticist who will help analyze the large amount of data involved in studying the genes. Maine says the discovery of pup-1 and pup-2 as critical in germline development is useful on a couple of different levels. “We’ll be looking at an understudied question that is important for any tissue: how do you get that right balance of different kinds of proteins in a cell during development.” Maine says. One goal of the research is to help in understanding the balance of proteins needed for germ cells to proliferate and form healthy oocytes and sperm. 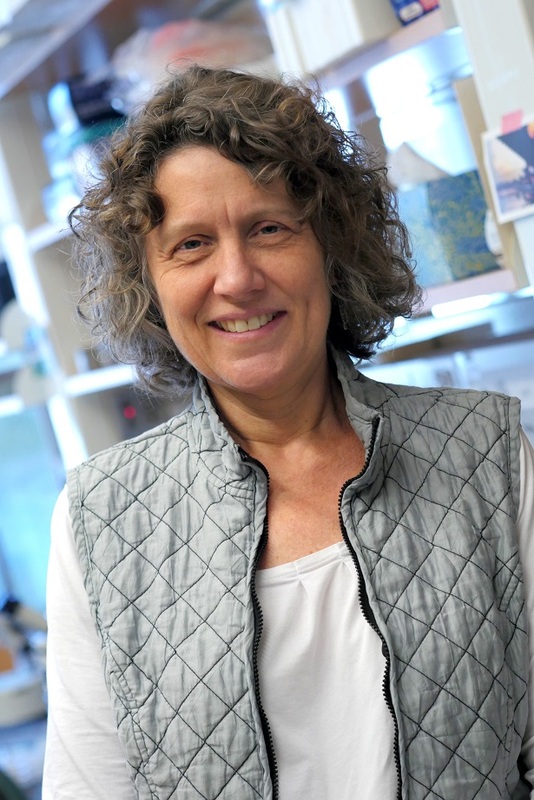 Maine and members of her research lab continue to investigate the mechanisms and developmental importance of meiotic silencing through a multiyear $427,000 grant from the National Institute of General Medical Sciences, the National Institutes of Health and the U.S. Department of Health and Human Services.